*Original imported powerful LED light, 5W. 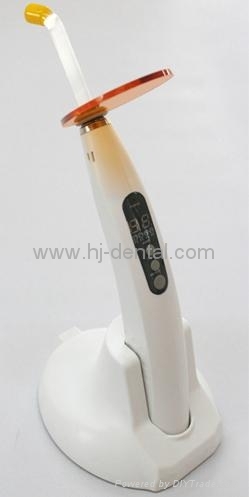 * Pure blue light source for dental, cool and lower heat. * Constant light intensity during operation. * Bionic streamline design for handle, with nice cooling. * High articulation optical fiber. * Solidify all brands of resin material. * Four working modes: strong, gradually strong, flashing and preheating. * Yellow digital display, Blue color as option. 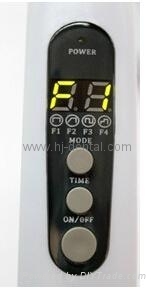 * Time setting, 5~40s, adjustable, with memory from last operation. * Automatic inactive, automatic power off. * Removeable super capacity Lithium battery, low battery alert. 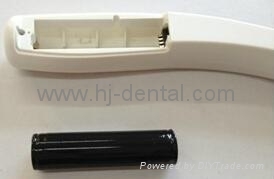 * Super capacity Lithium battery, BYD core, ultra-long standby time. more than 200 times continuously.